Having web sites run smoothly and safe from hackers, is important to me, and probably is important to you too, if you think about it a little. If you heard of any web site getting hacked, you know that could ruin your business day quickly. You have been told, already, you need to keep your software updated… You need to do regular backups… You know you should be blocking hackers, even if you don’t know how… Are you hoping you can last a little longer, letting maintenance slide? Preventing hackers from abusing your site is one very important part of running your web site, yet so many people and businesses just don’t have the time to do all the steps it takes. Even if you know how, or learn how (yes, you really could), it’s probably not a good use of your time. You have better things to do! Latest updates to your WordPress software (and all other software) does several things, including fixing bugs that keep your site operating well, adding new features, and also fixing any security problems that have been discovered. Do you think hackers might check every site for security holes? Hackers know all those security problems. Contact me about your site maintenance and security and what you want, and we’ll know if we’re a good match. Making sure your site runs smoothly, no errors, no bugs. Updating your WordPress site and plugins with the latest features,and the latest security. Troubleshooting if there are site errors. Backups, so if something goes wrong you can recover. Periodic tests your backup files are good (can be used to restore). Blocking all but the best hackers from abusing your site. Whether they are trying to put ads on your pages, or want to use your site to attack a big target, “keep out”! Keeping your information (and your customers’ or clients’ information) safe. Picking passwords for your site, email, WiFi, FTP, that are easy for you to use yet very hard for hackers to guess (probably not true for what you’re doing now). When people mention your site (or a specific page) on Twitter, Facebook, LinkedIn, Pinterest and other sites, you can specify what the social media sites should display. Text and images for social media mentions, different than your page’s featured image or search engine descriptions. I can give you suggested ways of using your site, to make your work easier. Recommend plugins and tools, that won’t mess up your site. How to customize the look of your site, the easy way. Do You Want To Do It Yourself? Or Have Someone Else Take Care Of It? And that’s the brief summary, not the step-by-step instructions covering how you do all these! Does that sound like something you want to do? If so contact me, I want 1,000 more sites secure from hackers and need help doing that. If not, contact me, and I can take care of security and maintenance for you. How Do You Get Your Site Secure From Hackers? Whether hackers want to post ads for their junk, or add links to steal traffic from you, or install malware to get your private information, or use your account to hack other sites, I hate hackers! Most businesses don’t have anyone who knows how to do maintenance and security checks properly. It’s complex. It takes time to learn, time to check everything each month. Most people could learn to do it themselves, if they were interested and had the time; but it’s just not your most fun and exciting thing to do, it’s not what you would best be spending your time on. 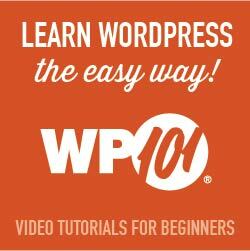 There are WordPress plugins that take care of many security steps. These have to be configured, and tested (some hosting companies have non-standard server configurations, so not all security options will work on all hosting). [Note: If you’re on a Microsoft IIS server, which can’t use the most common WordPress security plugins, I feel for you, and I can help some…] Look at all the configuration settings I documented for iThemes Security, and my suggestions for them, and you’ll know if you want to take care of just this one plugin yourself; it’s a good first step and not all there is for you to do. You have to host your WordPress site on a company that has very strong security. Most of the best-known hosting companies are negligent about security; they don’t even keep the server software current; they don’t know WordPress security and troubleshooting; and they are not actively looking for ways to improve security. The best hosting companies have staff researching global security discussion boards for the latest hacker vulnerabilities, and put specific security rules in dedicated hardware installed between the Internet and the servers they host your site on. Another important security step is using passwords for every login, that are difficult for hackers to guess. And the way we’ve been taught to make “secure” passwords, for example substituting punctuation for vowels or adding a digit and punctuation mark at the end, are known by hackers too — and now those passwords are easily and quickly guessed. Long computer-generated passwords are highly secure, but impossible for most people to remember and difficult to type. I can teach you how to make secure passwords both easy to remember and easy to type. Set up your WordPress site so it runs well. This includes removing plugins you don’t use, or that are security risks, or haven’t been updated in ages; adding plugins that are essential to the your site running properly. Set up software and storage so you keep current and past backups. Your site can be recovered if something goes wrong, if you have good backups. You always need a good backup! If you have more than one site, or know you want more sites, I can set up WordPress Multi-Site for you, easier for most companies than working with many single-site installations of WordPress. Select good plugins and themes. I find well written plugins and themes, that work well, don’t slow your site down, and are unlikely to have security vulnerabilities that hackers could exploit. Migrate your site to an excellent hosting company, if you think you might already be hacked, or if you don’t know your host has excellent security and technical support. A few hosting companies charge comparable amounts per year of hosting, but provide much better quality service and much better protection against hackers, than the normal hosting company. Improve your marketing, using software to tell Facebook, Twitter, LinkedIn, Pinterest and other social media sites what you want them to display (text and image) when someone references a page on your site. Consistent monthly amount, low $20 setup charge. Most basic sites, the kinds most small businesses need, I charge $80/month, whether everything is working (that’s my job) or I have to put in many hours fixing something. This includes the first month, when I will almost certainly have to set up better security, or reconfigure plugins, and check everything. No contract, and I ask you set up minimum 6 months auto-pay so you don’t have to remember. Cancel any time, simply don’t pay for the next month and please let me know; but I don’t give refunds, since each month I will keep your site working.